MAKE TODAY THE DAY YOU CHANGE YOUR LIFE, FOREVER! 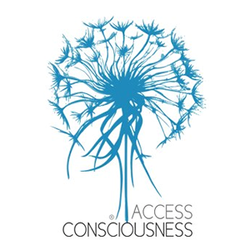 At ACCESS WELLBEING we use a set of tools, questions and processes from Access Consciousness that enable you to profoundly change whatever is not working for you in your life. The more you use these tools the more you will create the life you have always wanted. There are 32 bars of energy that run through and round your head which store the electromagnetic component of all the thoughts, ideas, attitudes, beliefs and decisions you have ever had. Each bar is connected with an aspect of your life e.g. money, awareness, creativity. RUNNING THE BARS is a process of lightly touching these 32 points to remove redundant, thoughts and points of view- rather like defragging a computer hard drive. As you reclaim the energy that was 'locked' in these old files you will become progressively calm and energised. Many people say they feel they have more space in their head. Children benefit from having their Bars run. Access Wellbeing offers taster bars sessions and full sessions during which we can use clearing statements so the stuck emotional blockages can be dissolved. You will be given a copy of the clearings so you can continue to use them at home. Cellular Memory is a hands on dynamic process that reverses the effects of physical trauma and scar tissue by encouraging the damaged cells to revert to the state they were in before trauma changed them. Movement becomes easier and pain decreases. Powerful for animals too! MTVSS-This powerful treatment activates the energies that build up the immune system, helps bodies resist adverse change and can reverse almost anyway the body is malfunctioning. Individual areas and problems can be targeted e.g. back pain, arthritis, muscular injuries, skin problems and much more. 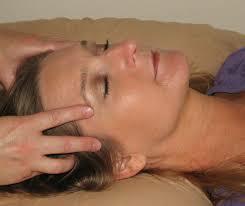 Energetic Face Lift-An amazing process that reverses the appearance of aging on the face and throught the body. Many of these processes can bring relief from pain and suffering for animals.